VIVRE !! 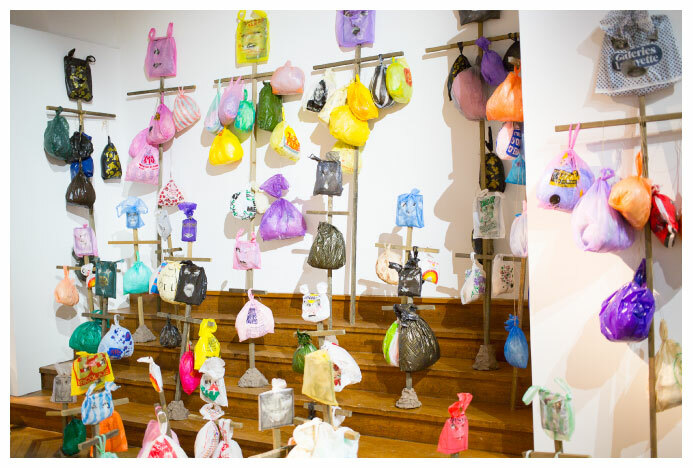 The contemporary art collection of Agnes b meets the history and cultures of immigration. 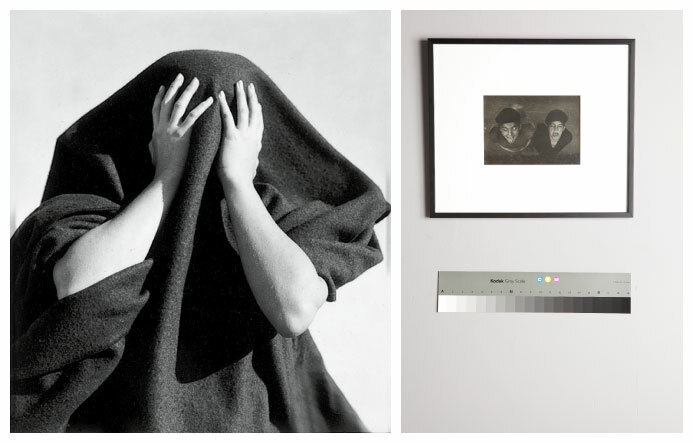 The contemporary art collection of Agnes b meets the history and cultures of immigration. The link is not evident, at first glance, between a museum located at a gate of Paris whose purpose is to present to the public the history, cultures and arts resulting from immigration, and the collection of contemporary art Fashion stylist Agnès b. Yet, if: the evidence is obvious. Through the presentation of 70 works from her collection of more than two thousand, a portrait of an unbridled collector, tapped by the question of otherness, gender and identity, takes shape. A collector committed for over forty years to artists, humanistic values and creation. It is a tender gesture but eminently political that Agnès b considers as “a manifesto for tolerance »: Vivre !! 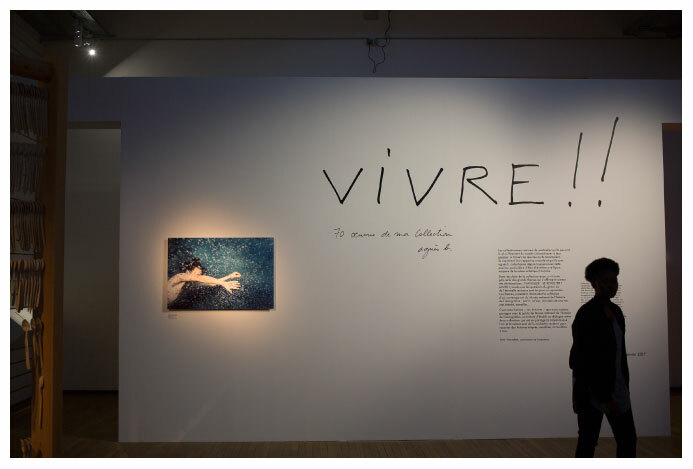 Is an exhibition where Agnès exposes herself. In spite of her usual discretion, the designer, who does not like advertising, has mobilized to send a message to the public in these troubled times, where not a day passes without the media reporting the deaths of migrants in the Mediterranean or their expulsion from their makeshift camps. The closure of the jungle of Calais, the impossibility for migrants to join their families in England, the disastrous living conditions, the discourse of exclusion conveyed by certain politicians, the nauseating air of time, action. It was with an undisguised enthusiasm that Sam Stourdzé, the director of the Rencontres d’Arles became the curator of this exhibition. During a year, he immersed himself in the collection, abounding, sometimes buried works, making an initiatory journey between photography, sculptures and installations, at the heart of the preoccupations of its architect. There came a cry: Vivre ! !, become a title and a journey articulated in seven sections, like exclamations. Vivre ? It’s work! It is revolting! It’s love! It’s dancing! It’s living! It is youth, and then death. Far from constituting a collection of abstract art, Agnes (b) is fascinated by works dealing with the human, the other, the definition of self and the question of gender. At the Immigration Museum, at the back of the Landmarks room presenting the permanent collection through a moving path recounting the history of immigration in France, a white screen conceals access to the exhibition. A luminous nook, like a hope. First room: on the left, the theme of youth, on the right the theme of death. It strongly starts! From a succession of photographs, youth appears as a posture: to seek, to doubt, the pangs of adolescence. First work exposed, symbolic in all directions: the swimmer (Whirlwind) of Ryan McGinley, a young American photographer already star, a skier straight out of Kids Larry Clark film, exhibited for the first time in France in solo show in the Galerie du jour (the gallery of Agnes b) in 2006, and which summarizes the approach of the collector: to ignore the borders and the trends of the market, to rely on our instinct, emotion facing the work, Even when it comes to a young artist. Sensibility and emotion, the only driver of choice. When it comes to art, you have to feel free. For art is that inalienable space of freedom present at the heart of each one, the space in which the designer may have expressed herself in the most intimate way throughout her career, by supporting artists, friendship with many of them having retained her gaze. The theme of youth ends with a neon of Claude Lévêque who writes with a trembling hand and with a somewhat drooping line: “the awakening of poisoned youth”. And if death was only a costume? We pass the weapon to the left: death. Restricted area on the right, we start with a portrait of Marylin Monroe when she was still Norma Jean who could even be an allegory of her life: “Marylin shows what death looks like”: directed by fashion photographer André de Dienes 1950, one sees only his hands taking his head hidden under a coarse blanket of wool. A frightened ghost, dismayed. Next to her, a puppet, an envelope, “the disguise” of the artist Pierre Ardouin: and if death was only a costume? In the middle of the exhibition are some works from the collection of the Museum, illustrating perfectly the community of spirit between the stylist and the vocation of the place. 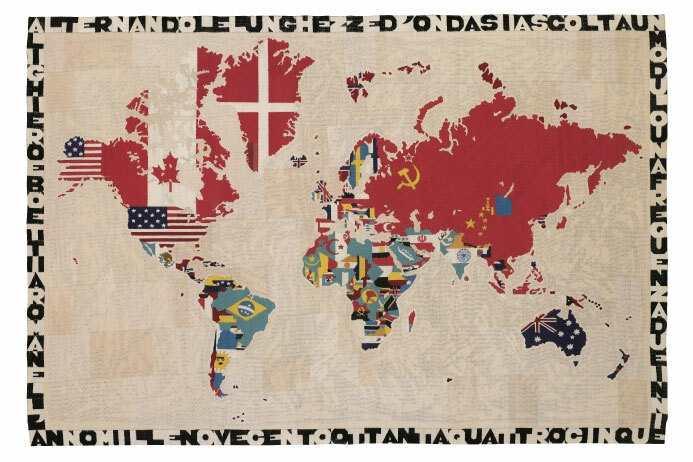 For example, Bukhara, a carpet of Mona Hatoum, a Palestinian artist whose work deals with exile, where the world map is engraved in creu, resonating with a tapestry on canvas signed by Alighiero Boetti, Mappa del Mondo 1984), famous for its planispheres embroidered by weavers of Afghanistan who seems to redraw the world by simple affixing of the national flag for each country. Love is treated through photography, that of Henri Cartier Bresson chosen for the poster of the exhibition, that of young photographers whose presence demonstrates the deep curiosity of Agnès b for the emerging talents, and his taste for the shift, through the choice of a photograph of Weegee surprising his flash crackling the tenderness of a couple in the New York night of the 50s, away from the crime scenes that made him famous. War, revolt, other subjects privileged within the exhibition, not through war photography but in a roundabout way, that of a neon of the artist originally from Bosnia and Herzegovina, Damir Radovic: “Who started The war?” Or the installation of Annette Messager” Two Clans, Two Families “(1998) questioning the identity of the displaced, migrants, nomadism through a kind of cemetery of reconstructed stuffed toys using a photography, enigmatic sentinels of a stolen childhood. At the top, summing up the whole, the place, the exhibition, the collection, a word scribbled by Abbé Pierre: “And the other? “. Vivre !! 70 works selected in my Agnès b collection.